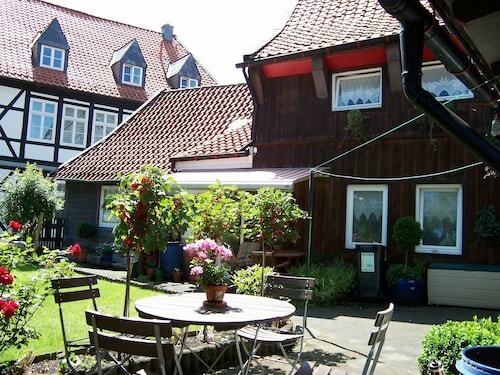 This family-friendly Goslar vacation home is located in the mountains, within a 10-minute walk of Goslar Imperial Palace, Marktkirche St. Cosmas und Damian, and Goslarer Rathaus. Museum und Besucherbergwerk Rammelsberg and Mines of Rammelsberg are also within 2 mi (3 km). Goslar Station is 12 minutes by foot. 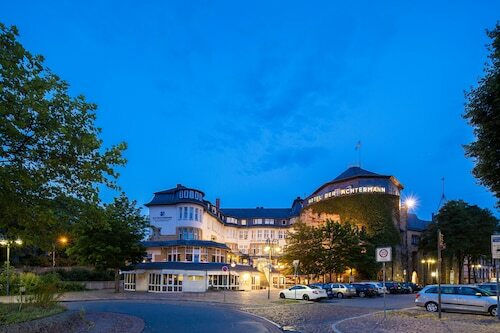 Located in Goslar Rural District, this hotel is within a 10-minute walk of Goslar Imperial Palace, Goslarer Rathaus, and Marktkirche St. Cosmas und Damian. Museum und Besucherbergwerk Rammelsberg and Mines of Rammelsberg are also within 1 mi (2 km). Goslar Station is 13 minutes by foot. 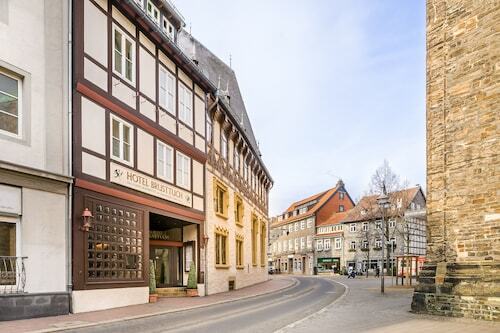 Located in Goslar Rural District, this hotel is within a 10-minute walk of Goslarer Rathaus, Marktkirche St. Cosmas und Damian, and Goslar Imperial Palace. Museum und Besucherbergwerk Rammelsberg and Mines of Rammelsberg are also within 2 mi (3 km). Goslar Station is 7 minutes by foot. 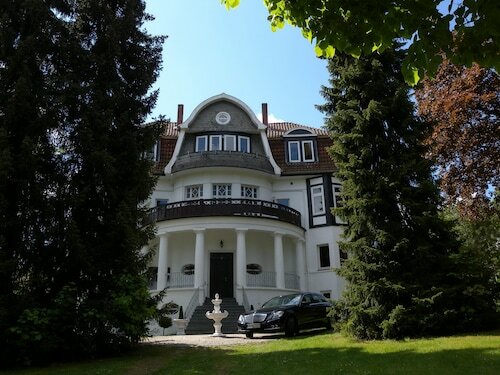 Set amidst the mountains, this ski-in/ski-out guesthouse in Goslar Rural District is within 1 mi (2 km) of Goslar Imperial Palace, Marktkirche St. Cosmas und Damian, and Goslarer Rathaus. Museum und Besucherbergwerk Rammelsberg and Mines of Rammelsberg are also within 2 mi (3 km). Goslar Station is 17 minutes by foot. You'll certainly enjoy your trip to Kaiserpfalz. You'll be able to experience it when you get to Goslar Old Town, 130 miles (209 kilometers) from the state capital, Schwerin. 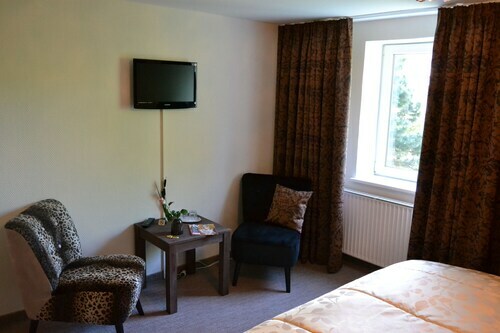 With just about 6 hotels located within 2 miles (3 kilometers) of Kaiserpfalz, you shouldn't have any difficulty finding the right place. 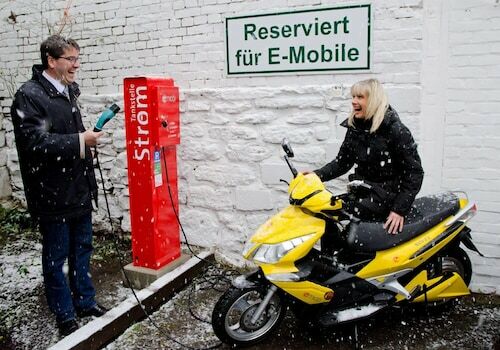 Just 0.1 miles (0.2 kilometers) away, you will be able to pack it in for the night at the Altstadt Hotel Gosequell. 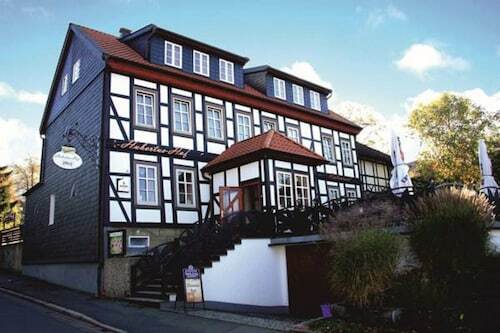 Some other choices are the H+ Hotel Goslar, 1 mile (2 kilometers) away, and the Hotel Der Achtermann, 0.5 miles (0.8 kilometers) away. 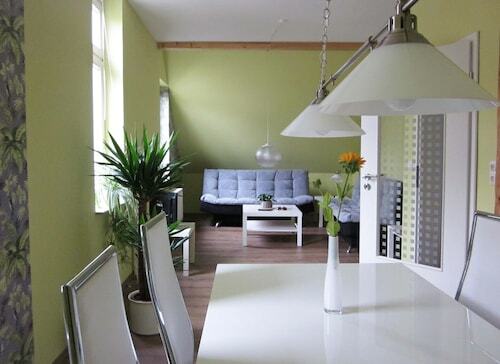 The Hostel Goslar, 0.5 miles (0.8 kilometers) away, features quality service at a budget-friendly price. If you're ever stressed from being on the move, don't let it get you down. 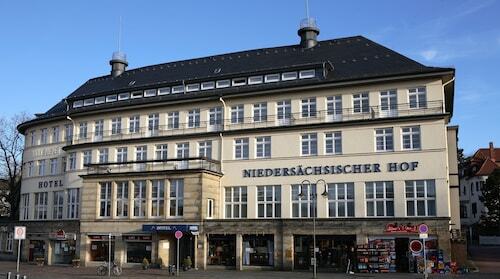 You'll be at peace if you spend some time at the Hotel Niedersaechsischer Hof, only 0.5 miles (0.8 kilometers) away. If you want a moment to yourself, sit back with a crossword and a tea in a cozy corner of Bäcker Wolf GmbH Fachgeschäft Hoher Weg (Hoher Weg 19, Goslar.) A nice local restaurant, Weite Welt Goslar | Food & Wine | Restaurant / Cafe (Hoher Weg 11, Goslar) dishes up some delectable food that's sure to satisfy even the most famished traveler. If you love all things historical, don't miss Goslar Imperial Palace, an impressive structure famous for its architecture and storied history. Domvorhalle is a tranquil house of worship. Look at it from a distance or see if you're able to have a tour inside. A fascinating tour of the exhibits at Musikinstrumenten- und Puppenmuseum is a popular activity with visitors and locals alike. 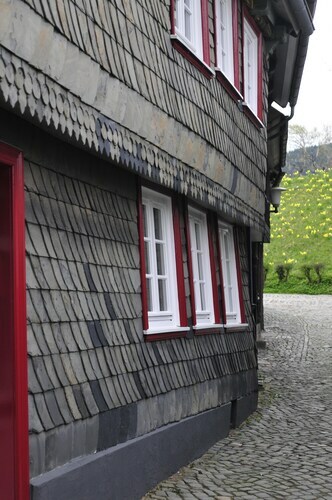 Explore Musuem of Goslar and become informed about the common thread between different cultures. Most tourists don't walk through the boulevards without stopping for a break at Hotel Kaiserworth, an iconic spot. A trip by rail is an excellent way to go to Kaiserpfalz. The most convenient station, Goslar, is just 0.6 miles (1.0 kilometer) away. 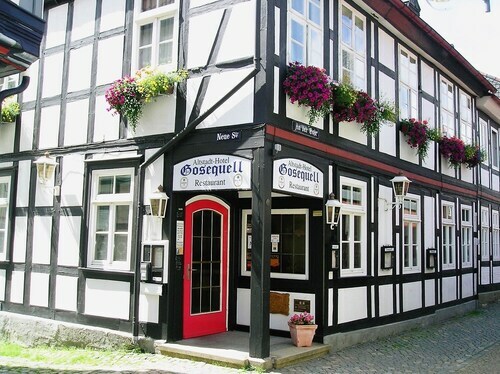 How Much is a Hotel Room in Goslar Imperial Palace? 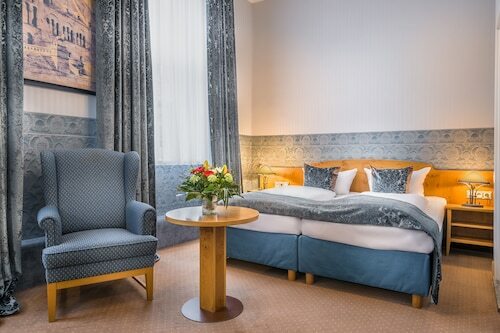 Hotels in Goslar Imperial Palace start at $21 per night. Prices and availability subject to change. Additional terms may apply.